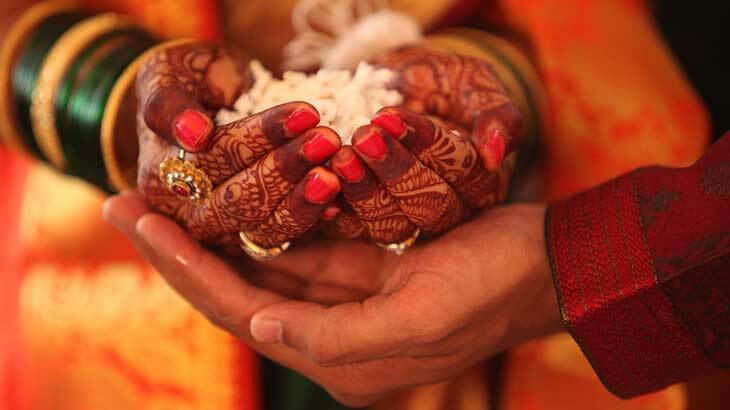 Indian weddings are seen by many as the epitome of Indian culture and extravagance. Typically, a three-day celebration of colour, commitment, religion, tradition and family. While considered a very inclusive environment, it is a ceremony that most Westerners will unlikely get to experience in their lifetime. The misri usually takes place a few days before the official wedding ceremony in private between the bride and groom’s family – usually held at the bride’s family home. The two families meet to exchange prayers, gold rings and the groom’s family offer a basket of gifts and flowers to the bride’s family to symbolise a merging of the two families. Usually included in the gift is rock sugar/candy – meant to symbolise wishes of a sweet marriage between the two. 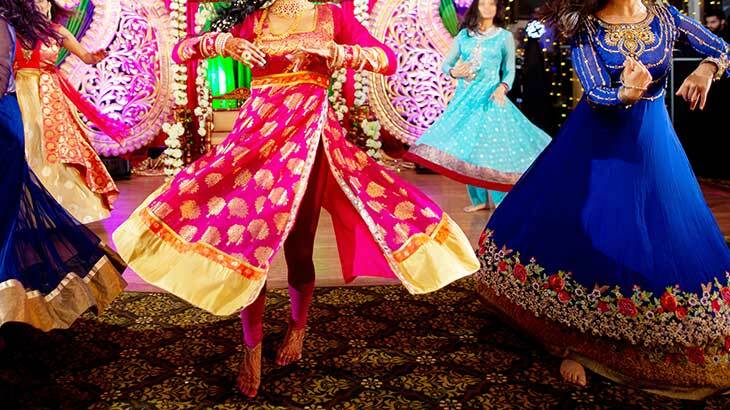 The sangeet is probably one of the most recognised elements of a Hindu wedding celebration – usually taking place the day or evening before the wedding ceremony it is basically a big colourful party of song and dance, with either all guests or just women. Sangeet translates directly to ‘sung together’. 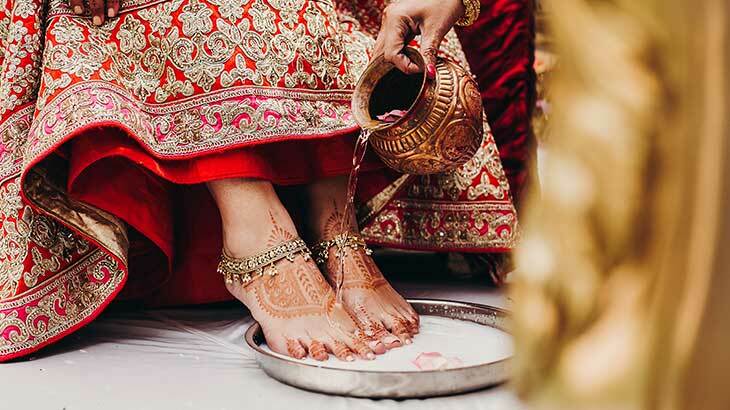 The mehendi is a private ceremony, taking up several hours the day before the wedding – where the bride and her female friends and family members are adorned with intricate henna designs on their hands and feet. In the haldi the family of both the bride and groom spread a mix of oil, water and turmeric over the couple as a blessing to the gods and to ward off evil spirits. It has the added bonus of moisturising the couple’s skin in preparation for the big day! The wedding day itself is full of several customs and ceremonies culminating in the dedication to the Hindu gods and superstition. The mandap is a large canopy where the ceremony is performed under, the four pillars of the mandap symbolise both sets of parents and their blessing of the union. As part of the wedding vows the couple hold hands and take seven steps around the holy fire (lit at the beginning of the ceremony), they do so reciting the Hindu pledge of marriage. The brother of the bride pours rice on to the brides hands in a custom known as laja homa. As the rice falls through her hands they pass through the grooms and into the holy fire. To symbolise that the bride is now married and the union of the couple, the groom ties a mangalsutra around her neck which is a black knotted necklace adorned with two gold beads.